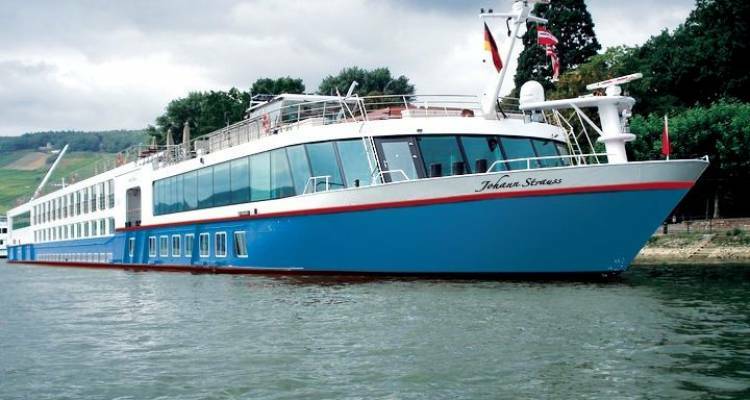 Waltz on board the newly renovated Johann Strauss and enter the melodic elegance of European river cruising. Your heart will want “to sing every song it hears” as you relish the bright, whimsical style of this delightful ship. The rich and famous traveled through Europe in style, enjoying elaborate meals, intriguing company, and fine wines. Now you can too. The Johann Strauss resonates fanciful style, drawing you into your own whimsical journey along the iconic Rhine, Main and Danube Rivers. Everything on board the enchanting Johann Strauss resounds bright and airy elegance, infused with imagination and vibrant color. Panoramic views from the Wachau Lounge and Bar engulf you in the surrounding fairytale landscape. Well appointed, comfortable sofas and chairs beckon passengers to relax and drink in the bordering ambiance. Your stay on the Johann Strauss will be a fairy-tale dream in itself, not to mention the captivating ports of call. Dining on the Johann Strauss is a symphony of pleasures. Seated at private tables with crisp white linen, candles, embossed silver and fine porcelain, you will dine in style. The cuisine of the Johann Strauss is truly inspired. Freshly prepared dishes made with local ingredients are graciously served along with recommendations of carefully selected wines. Whilst you enjoy the relaxed conversation and watch the landscape tranquility pass you by, courses seamlessly follow one another. Breakfasts and lunches on the Johann Strauss are à la carte, and of a lyrical allure. In the afternoons, you can enjoy the Afternoon Tea, a European tradition. Bon appétit!